Tai Mountain lies in central Shandong Province, covers an area of 550 square meters, formed 100,000,000 million years ago. 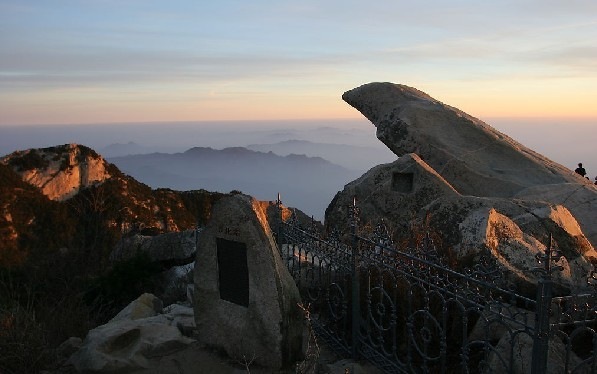 It was regarded as preeminent among China’s Five Sacred Mountains. 72 Chinese emperors of various dynasties made pilgrimages to Tai Mountain for sacrificial as well as other ceremonial purposes. 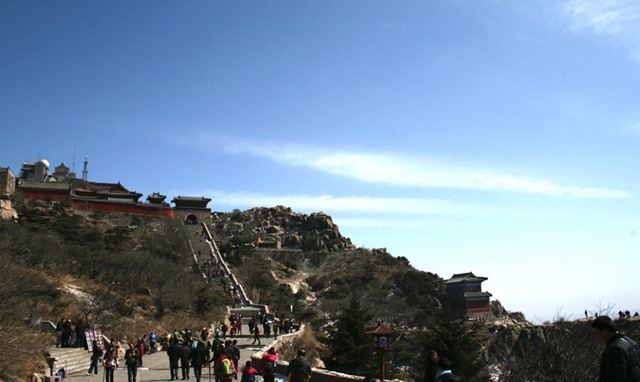 Tai Mountain is endowed with many scenic spots. A large quantity of them were provided names in ancient occasions. They consist of 112 peaks, 98 precipices, 18 caves, 58 oddly shaped rocks, 102 streams and valleys, 56 pools and waterfalls, and 64 springs. Vegetation covers 79.9% from the region. The flora is known to comprise 989 species in 144 families. It also boasts cultural heritage with an incessant history of several thousand years. “The 5 Sacred Mountains” has been worship for over 3 thousand years from Neolithic Age due to its distinctive geographical locations and majesty of relative altitude over a kilometre. In 219 BC, Qin Shihuang (First Emperor of Qin Dynasty) held a ceremony of providing sacrifices on the leading Mt. Taishan when special national sacrifice codes and systems originated, which was followed by later emperors to display their imperial power’s validity and authority. Providing sacrifices to 5 Sacred Mountains was held to create the emperors” achievements informed to all of the people and 5 Sacred Mountains were regarded as boundaries of their reign. Consequently, as an integration which cannot be divided, 5 Sacred Mountains symbolizes the unification and territory within the era of Chinese agricultural civilization. The political position of 5 Sacred Mountains makes them turn out to be the common target to which various nationalities worship and sacrifice and contributes to national fusion and unification. Meanwhile, 5 Sacred Mountains have also gained their fame of cultural meanings. Five sorts of cultures are the most prominent ones. Firstly, the culture of “five elements”. The “five elements” consisting of “water, fire, wood, gold and earth” are regarded as as the basic substances composing every thing on the earth and are considered to promote the selection and formation of 5 Sacred Mountains. 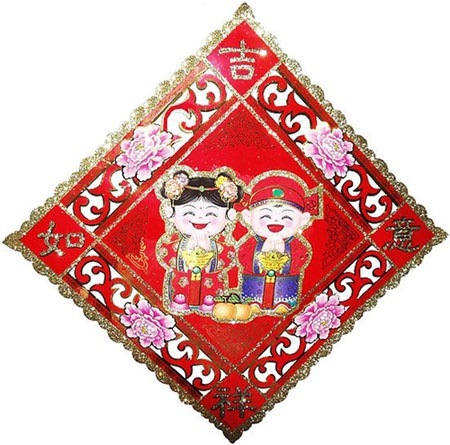 Secondly, culture of “universal unity”, a political concept which can be traced back to the Spring and Autumn Period and also the Warring States Period, happen to be regarded as as the ideal state of dynasts. The “universal unity” has two major connotations: territorial and political unity, ritual and cultural unity. The “universal unity” has boosted formation and development of sacrifice culture and political position of 5 Sacred Mountains. 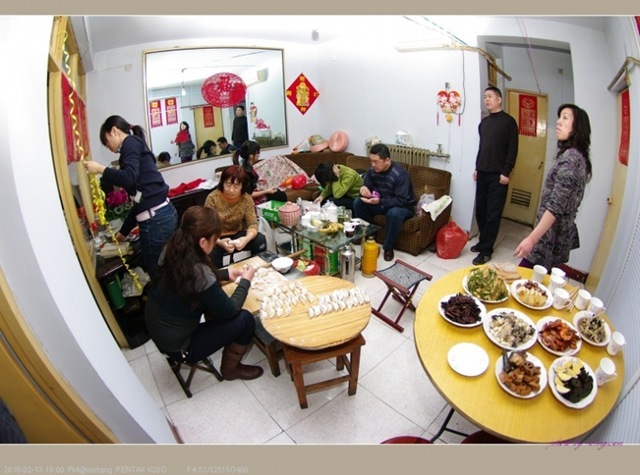 Thirdly, the culture of sacrifice. Systems of royal inspection, hunting on mountain, burning for sacrifice, distant sacrifice, fete and sacrifice using the representative of 5 Sacred Mountains sacrifice have evolved in the feudal Chinese society and “fengshan” (offering sacrifice to gods) steadily evolved to become probably the most essential national sacrifice ceremony of royal ones in feudal ancient China. Fourthly, the culture of religion. As sacred locations of Buddhism, the Southern Mt. Hengshan and also the Central Mt. Songshan, have witnessed the spread and development of Buddhism in China and imposed fantastic influence on other nations particularly Asian ones. Fifthly, the culture of landscape. A rich collection of stone inscription and literature functions is valuable fortune for both Chinese and globe literature and arts. The five kinds of cultures are interrelated to each other, which advance the selection, formation, development and spread of Five Sacred Mountains.